The National Wildlife Rehabilitator`s Association (NWRA) is dedicated to improving and promoting the profession of wildlife rehabilitation and its contributions to preserving natural ecosystems. Wildlife rehabilitators are committed to the treatment and subsequent release of indigenous wildlife in need. Estimates indicate over 75% of the animals cared for are affected in some manner by human activities. Nest tree destruction, vehicle collisions, unrestrained pets, illegal or legal wild “pet” trading, intentional or unintentional poisonings including oil contamination, window collisions, and non-target trapping or shooting result in wildlife distress. NWRA members treat hundreds of thousands of animals annually; some provide this care with little or no financial support. Members provide educational programs to over eight million people each year in an effort to reduce the impact humans have on our native wildlife. The National Wildlife Rehabilitators Association (NWRA) was created to fill a need. Wildlife rehabilitators wanted a national organization to gather and disseminate information and to establish standards for the care of wild animals. The NWRA is recognized by the US Internal Revenue Service as a 501(c)3 tax exempt organization, thus donations to NWRA are tax deductible as provided by law. Board members represent member interests by geographic area, by level of rehabilitation involvement, and by a diversity of backgrounds in rehabilitation, medicine, education, administration, and related fields. Interested members participate on committees involving wildlife care, post–release studies, education, computer and information management, symposium planning, membership recruitment, rehabilitation standards, publications, public relations, and others. The four–day NWRA Symposium is the largest North American wildlife rehabilitation symposium, attracting 450 to 550 people representing most states and provinces. Recognized and respected speakers present current information and new findings through presentations, hands–on skills workshops, interactive seminars, and discussion groups. The NWRA Membership Directory, updated annually, lists hundreds of members. Member and Specialty Indexes encourage active networking among members to improve wildlife care. In 2001, the NWRA Quarterly Journal evolved into two publications: The Wildlife Rehabilitator is a newsletter that details association matters and current information.The Wildlife Rehabilitation Bulletin is a journal that reaches members with forty–eight or more pages of peer–reviewed articles, techniques, book reviews, and announcements. The Minimum Standards for Wildlife Rehabilitation provides minimum indoor and outdoor housing criteria for many species, as well as sections on cage furnishings, euthanasia, medical care, recording and reporting information, public health responsibilities, release considerations, disease prevention and control, and a Code of Ethics for Wildlife Rehabilitators. This document is designed to assist rehabilitators in providing effective care. NWRA sells a variety of books and reprinted articles that contain the most current information in the field. Principles of Wildlife Rehabilitation: The Essential Guide for Novice and Experienced Rehabilitators is the most comprehensive reference work in the field and is used as the textbook for college and rehabilitation training classes. Selected papers from each symposium have been published in the Wildlife Rehabilitation series. The Veterinary Committee Topics in Wildlife Medicine (three volumes) meets the need for practical and tested medical information. Two books designed to assist beginning and experienced educators are Wildlife in Education: A Guide for the Care and Use of Program Animals to correctly and effectively use wild animals in educational programs plus provide ongoing captive wildlife care; and, Introduction to Wildlife Education Programming: Tips & Techniques for Better Presentations to help create and present dynamic and effective wildlife educational programs. The website Opportunities in Wildlife Rehabilitation section lists dozens of internship and volunteer positions across the continent for members to gain valuable experience. The NWRA is in contact with rehabilitation organizations, state, provincial, and federal permitting agencies, the federal bird banding lab, the national wildlife health lab, plus other agencies and organizations as issues arise. The NWRA remains healthy and growing because of the combined efforts of hard–working staff and committee volunteers, a Board of Directors committed to the mission and philosophies of the organization, and members and donors who provide financial support. The NWRA continues to meet the needs of wildlife rehabilitators for training, information, and networking, as well as representing members and the profession to state, provincial, and federal agencies, and other related organizations. The NWRA's strength lies in the rich diversity of its membership, in the willingness of members to continue to learn and share, in the commitment of members to provide high quality care for wildlife, and in the dedication of many to build respect and credibility for the profession. The NWRA continues to serve wildlife rehabilitators and their profession as long as there is a need. The National Wildlife Rehabilitators Association (NWRA) is dedicated to improving and promoting the profession of wildlife rehabilitation and its contributions to preserving natural ecosystems. The National Wildlife Rehabilitators Association and wildlife rehabilitation as a profession are recognized and respected worldwide. The National Wildlife Rehabilitators Association is incorporated for the support of the science and profession of wildlife rehabilitation and its practitioners. Wildlife rehabilitation is the treatment and temporary care of injured, diseased and displaced indigenous wildlife and the subsequent return of healthy animals to appropriate habitats in the wild. To improve the care of wildlife in rehabilitation, and serve as a voice for the profession. For members of the National Wildlife Rehabilitators Association, these goals are not just words. The organization sponsors programs and activities that encourage meaningful participation by all wildlife rehabilitators to improve the treatment of every wild creature in rehabilitative care. Further continued improvement of the profession through development of high standards of ethics, conduct, and wildlife care. Encourage networking and disseminate knowledge and information. Engender cooperation among governmental agencies, private groups and individuals in order to support wildlife rehabilitation. Foster respect for and protection of wildlife and natural ecosystems. The interaction between humans and distressed wildlife is an ancient one; however, the concept of wildlife rehabilitation as a profession is a relatively recent phenomenon. Over the last thirty years, the practice of rehabilitation has grown into a discipline using a worldwide exchange of information and ideas. As people with a shared vision on a shared earth, members of the National Wildlife Rehabilitators Association are dedicated, knowledgeable individuals who provide care to thousands of injured, orphaned, and diseased wild creatures each year. To promote and improve the professionalism of wildlife rehabilitation, the National Wildlife Rehabilitators Association has an ongoing program dedicated to standards of operation for those providing care to wildlife. These standards for facility operation and animal care provide guidance to those involved in wildlife rehabilitation and medicine. Our members are important contributors to both the Minimum Standards for Wildlife Rehabilitation and the Code of Ethics. The National Wildlife Rehabilitators Association actively promotes and supports these documents, and urges members to continue to meet or surpass them. To view a copy of Minimum Standards for Wildlife Rehabilitation, click here (PDF file, 240KB). To purchase a copy, click here. National Wildlife Rehabilitators Association demonstrates high regard for and support of scientific research by offering grants for studies in wildlife medicine, animal behavior, nutrition, toxicology, and other areas. Lifetime and Significant Achievement awards recognize outstanding contributors to the field of wildlife rehabilitation. Shared knowledge is a focal point for NWRA, and providing education and skill-building opportunities to our members is critical. The open exchange of information and the achievement of high standards in animal care, education, ethical behavior, and scientific research are what our members expect and deserve. Our annual symposia offer quality hands-on workshops, comprehensive lectures, roundtables, and panel discussions with acknowledged experts. Membership Directory, with current contact information for state, provincial, and federal agencies, and wildlife rehabilitation associations. This valuable resource allows rehabilitators to network with hundreds of fellow members. 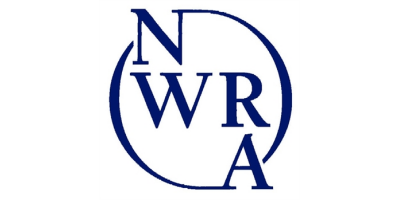 To find out more about NWRA books, manuals, charts and other resources and to purchase online, click here. The National Wildlife Rehabilitators Association is guided by dedicated, knowledgeable leaders who understand that members are the lifeblood of the organization! The free exchange of information is encouraged and the Membership Directory provides a great tool for networking with others. The National Wildlife Rehabilitators Association supports individual efforts to achieve high standards in animal care, research, education, and ethical behavior.